If you’re reading this article, the Dreamcast likely occupies your mind because of a defining moment in your gaming career that separates the little white crate from the rest of the console pack. For me, that moment was awaiting confirmation of my school’s closing due to wintry conditions so I could veg out and spend countless hours playing Phantasy Star Online on a dialup connection. I’ve yet to replicate the sheer joy of slaughtering Rappys and other unpronounceable enemies while my neighborhood became a sheet of ice and snow. In hindsight, Phantasy Star Online (or PSO as internet hipsters like to label it) is more than a nostalgic event—it’s the best “loot-driven” game I’ve ever played. 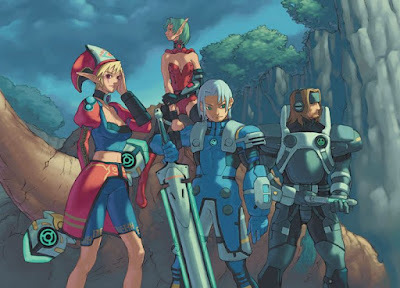 When presented a choice between an anime-inspired video game and one about demons with a more Western flair I almost always choose the latter, except when it comes to Phantasy Star Online. Most of the time, I’d much rather slay demons against the backdrop of what looks like a cheesy metal album cover (I’m, of course, talking about the Diablo series) than to duke it out with flamboyant rabbit/chicken hybrids against the backdrop of something that looks like a marriage between Studio Ghibli and Hideo Kojima. For Dreamcast aficionados somehow unfamiliar with one of the most popular games on the system, Phantasy Star Online is a sequel (of sorts) to an RPG series from the Sega Master System and Sega Genesis. 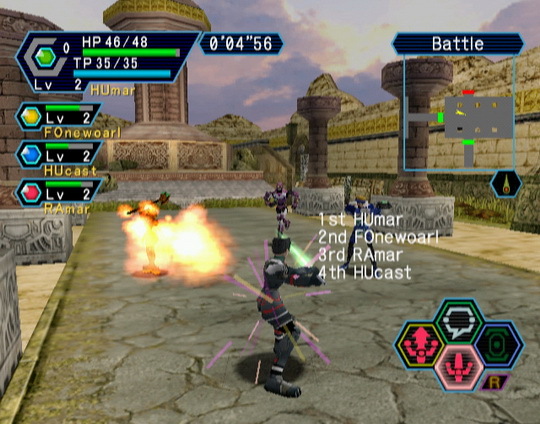 While earlier entries in the series contained traditional turn-based RPG mechanics, PSO adopted more PC-centric systems like real-time combat and the ability to matchup with players around the globe to battle foes on the fictional planet Ragol. Cooperative online play was practically unheard of on consoles at the time but PSO managed to also be one of the first MMORPG (Massively Multiplayer Online Role-Playing Game) on home consoles. And it worked. Really well. In addition to weapon and armor loot drops, players could also retrieve items to transform their MAG which was basically a Tamagotchi hovering over your character’s shoulders that needed to be fed and caressed. Okay, you couldn’t caress your MAG but it was too easy to become attached to it. A well-fed MAG empowered the player with new abilities but its existence served as a sort of meta game to the standard gameplay loop. Every PSO player was determined to retrieve the MAG “cell” that transformed their digital pet into a miniature Dreamcast. I can attest to the rarity of that MAG cell. After hundreds of hours of online play, I never encountered a player with a Dreamcast MAG. Games like Diablo 3 endlessly supply the player with new items to dress their avatar with and while PSO contains the same carrot on a stick gameplay, it doesn’t reward the player nearly as much and, admittedly, this turns off quite a few gamers. Personally, I find the ridiculous rarity of certain items to be the driving force behind the game. Witnessing players online equipped with sought after swords and handguns motivated me to try harder and play more. Although plenty of players obtained these items through illegitimate means, rampant cheating didn’t deter my eagerness to obtain them legitimately. Even when my character was hacked and wiped by a disgruntled player a mere hour before I reached the game’s then level cap of 100, I created a new character and journeyed on. If that’s not a testament to the game’s quality then I’m probably delusional or even worse, old. A new gamer would never accept the erasure of a character they invested hundreds of hours improving in one of the many “games as service” titles out there now. PSO, nearly twenty years after its initial release, still holds my heart and mind hostage. While sequels and prequels and spinoffs to PSO are certainly out there, none of them possess the magic of the original on the Dreamcast. Call me crazy, but my Lavis Cannon pursuit will only end when my flesh is insect grub. Let’s just hope my Dreamcast survives long enough so that I can procure this meaningless digital sword. 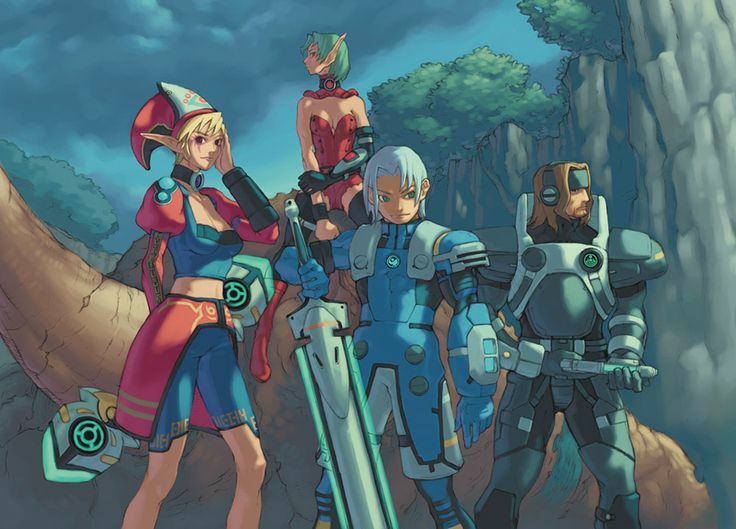 Thanks to Damon Fillman for this thought-provoking look at Phantasy Star Online, a game that clearly defined the Dreamcast era for a great number of gamers. Personally I never got to experience it online as the phone line in my house was under military-grade surveillance by the bill payer (which wasn't me, funnily enough). However, the high regard in which it is held as an online experience is almost universal and it represents yet another amazing memory for those Dreamcasters who played it back in the day. I have a feeling we'll be hearing more from Damon in the near future, but if you'd like to follow him on Twitter you can do so here.